There has been a rise in the number of kids diagnosed with ADD, according to a recent article in the New York Times. Now 11% of all school-aged children has ADHD, and 1 out of every 5 high school boys will receive an ADHD diagnosis. This represents a 40% increase in the past decade, which is raising many questions among experts – such as are ADHD medications being overused? But what is leading to this increase, and what if many of these cases were simply a food sensitivity? According to this NPR article, a study conducted in the Netherlands and published on February 5, 2011 in the Lancet Journal, found that 64% of diagnosed cases of ADHD was actually caused by a hypersensitivity to food; and when the food was removed, the symptoms improved. According to the lead author of the study, Dr. Lidy Pelsser, “we have got good news — that food is the main cause of ADHD,” she says. “We’ve got bad news — that we have to train physicians to monitor this procedure because it cannot be done by a physician who is not trained. Rarely are parents of kids with ADHD given any nutritional/supplementary options, they are simply given the diagnosis and sent home with a prescription for ADHD medication. But these medications are not without risk, including decreased appetite, depression and mood disorders, increased blood pressure, and more. So if the root cause of the inattention is food sensitivities, then shouldn’t we be treating the attention and behavior issues by first identifying and eliminating any offending foods, and adding in nutritional supplements; and if those fail – resorting to the medication? So until doctors start to recognize and treat ADHD in this way, parents can educate themselves and find a practitioner that can help them navigate this approach to treating focus and attention issues. Although there is a percentage of kids who nutritional approaches won’t offer a full recovery, according to the study out of the Netherlands, a significant number of kids will benefit from nutritional changes. The only downside is that a food elimination diet it is not as easy as popping a pill every day. But even those that end up taking medications, many will also benefit from nutritional approaches and certain supplements. What are the 3 most common foods associated with ADHD-like symptoms? Dairy. According to Doris Rapp, M.D., author of Is This Your Child? and The Impossible Child, dairy is at the top of the list of foods that cause behavior, focus & attention problems. Other signs that your child could have a problem with dairy? Bed wetting (past toddlerhood), asthma, temper tantrums, frequent ear upper respiratory or sinus infections, and vocal tics or throat clearing. Food colorings and additives. A total of 15 million pounds of dyes are added to foods each year, many of which are directly marketed at school-aged children. Food dyes have been linked to behavioral problems, hyperactivity, allergic reactions, and even some cancers. A study published in the journal Lancet in 2007, concluded that food dyes increased hyperactivity in children. Based on this study, the British government banned the use of food dyes, and all foods that contain dyes in Europe must come with a warning label that says “may have an adverse effect on activity and attention in children.” Read more about the Dangers Associated with Food Dyes at Disease-Proof. These are 3 of the most common things to consider with regard to ADHD, but there are a number of other foods/substances that could be causing focus and attention problems – including high fructose corn syrup/sugar, pesticides, mercury, soy, eggs, corn – to just name a few. How could food sensitivities create ADHD-like symptoms? Nutrient deficiencies could be to blame. The small intestine is where most nutrients are absorbed into the bloodstream. Consuming foods that the body is sensitive to can cause damage to the small intestine, which can lead to issues in nutrient absorption and utilization. Another reason for nutrient deficiencies could be extremely picky eating, or a highly processed diet that is lacking in macro and micronutrients. Omega 3 fatty acids – The brain is composed of over 60% fat, so diets must have sufficient amounts of healthy fats in order for our brains to function well. One of the most important fats for the brain is omega 3s – known as essential fatty acids. Essential means that our body can not manufacture them, so they must be consumed. A 1996 Purdue University study revealed that kids with learning and behavior problems had lower levels of the omega 3 DHA (docosahexaenoic acid) in their blood. Omega 3s can be found in fish like salmon, tuna, and sardines; as well as nuts, some seeds like chia, and fish oils, like Barleans Omega Swirl. Vitamin B6*: is needed for the synthesis of dopamine, serotonin, and norepinephrine – which are brain chemicals that regulate sleep cycles and focus/attention. Studies show that supplementation with Vitamin B6 with magnesium resulted in reduced central nervous system hyperactivity. *Although Vitamin B6 is water soluble, it is the one B vitamin that can accumulate and possibly lead to permanent nerve damage if taken in an excessively high a dose for long period of time. (learn more and see tolerable upper limits for Vitamin B6). It is recommended that you work with a Nutritionist or Health Practitioner when supplementing with high doses of vitamin B6. Vitamin B12 is required for the synthesis of amino acids that promote concentration. A B 12 deficiency can cause kids to be hyper, anxious, and also cause obsessive behavior, and if serious – can lead to pernicious anemia and serious neurological issues. Vitamin B12 can only be manufactured by bacteria – so it is very common for people with food sensitivities or digestive issues to have deficiencies – so identifying food sensitivities and removing them will also improve B12 status. Also probiotics are beneficial for improvings gut bacteria as well. Although Vitamin B6 and B12 are of particular importance for treating ADHD, I always recommend taking all of the B vitamins together as a full complex – as they work best together synergistically. Magnesium – it is estimated that 70% of the population could be deficient in magnesium, and up to 95% of kids with ADHD (read study). Magnesium is known as the calming mineral, and studies show that supplementing with magnesium can reduce hyperactivity in kids. Studies show that magnesium has also been shown to help with Tourette’s syndrome, which can co-exist with ADHD. The fourth most abundant mineral in the body, magnesium plays a key role in over 300 biochemical processes – including building strong bones, nerve functions, regulating blood pressure, maintaining body temperature, and for allowing muscles (including the heart) to release into a state of relaxation. Magnesium is important for healthy bones, as it helps calcium get into the bones, and also is important for synthesizing vitamin D. Calcium causes muscular contractions, while magnesium enables the muscles to release. Elevated calcium or depressed magnesium levels can cause muscles to stay in a contracted state. Low magnesium levels can be associated with constipation, restless leg syndrome, sleep issues, migraines, ADHD/hyperactivity, foot or eye twitches, muscle cramps/pain, irritability, and even an elevated risk of heart disease/stroke. Zinc – low zinc can lead to slow growth, delayed puberty and picky eating, and it is also associated with attention issues. Taking ADHD medication can also deplete zinc levels. A study published in 2011 in the Journal of Child and Adolescent Psychopharmacology, found that those receiving a zinc supplement required 37% less amphetamine to receive the same results compared with those taking amphetamine plus placebo. The zinc appeared to improve the effectiveness of the amphetamine, so that a lower dose was needed for desired results. Studies have shown a positive correlation between zinc supplementation and behavior improvement. Probiotics – Balancing out the flora in the gut is important for everyone – for immunity and remaining a healthy weight; but it is also important for our brain and mental health. Our guts and our brains are closely interconnected via the vagus nerve, which is the primary route for the gut bacteria to be transmitted to the brain. So if our gut health is imbalanced, we will not be able to properly produce the neurotransmitters that our brain needs for focus, memory, and attention. Our gut health is directly reflected in our mood too – studies show that there will be an increase in levels of anxiety when our gut health is imbalanced, read more. High Quality Multivitamin – some kids with food sensitivities can have damage to the small intestine and therefore might have nutrient absorption issues, so even if they are taking a multivitamin or eating a high quality diet, they could still have deficiencies. For those kids, I recommend a supplement called IntraKID. It is an all-in-one carbon-bonded organic multivitamin that contains 71 trace minerals, vitamins, herbs, antioxidants, enzymes, probiotics, and more in a highly absorbable fulvic acid base. IntraKID is only available through practitioners, contact sara@rebalancelife.com for more information or to order IntraKID. Food elimination diets if not properly done or supplemented, could themselves result in nutrient deficiencies; so working with a Nutritionist or qualified health practitioner is recommended when embarking on a nutritional program to address ADHD. Doing a food elimination diet is one way to determine if there are sensitivities, but there are also tests that can be done to determine sensitivities. *This article is for educational purposes only. The content contained in this article is not to be construed as providing medical advice. All information provided is general and not specific to individuals. Persons with questions about the above content as how it relates to them, should contact Sara Vance directly or their medical professional. Persons already taking prescription medications should consult a doctor before taking the above foods, herbs, vitamins or supplements to be sure there are no interactions. 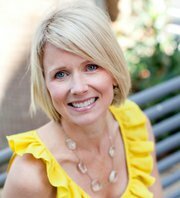 Sara Vance is a Clinical Nutritionist in the Encinitas, CA area. Sara offers nutritional counseling, School Assemblies, group classes, kids healthy cooking, and more. Sara have over 100 articles, and several on ADD on her website. Visit ReBalanceLife.com for more information. Friend Sara Vance at ReBalance Life on Facebook. ©2013, all rights reserved. Sara Vance.